Here's a curious album from the budget label, Diplomat. 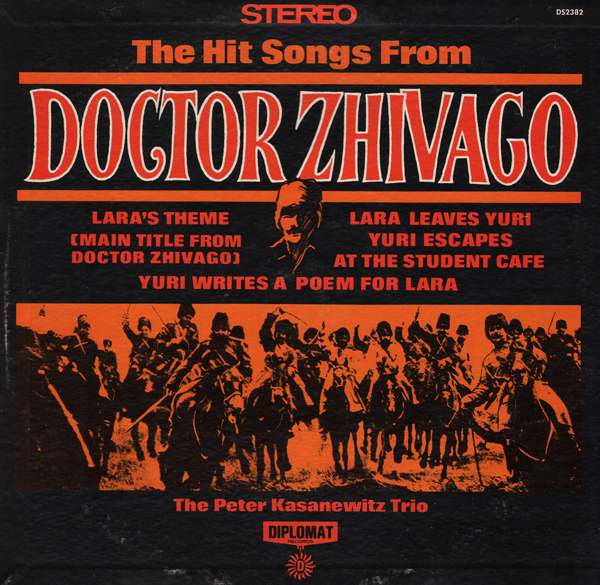 The recording was made by a small lounge combo executing their interpretation of songs from the movie Doctor Zhivago. 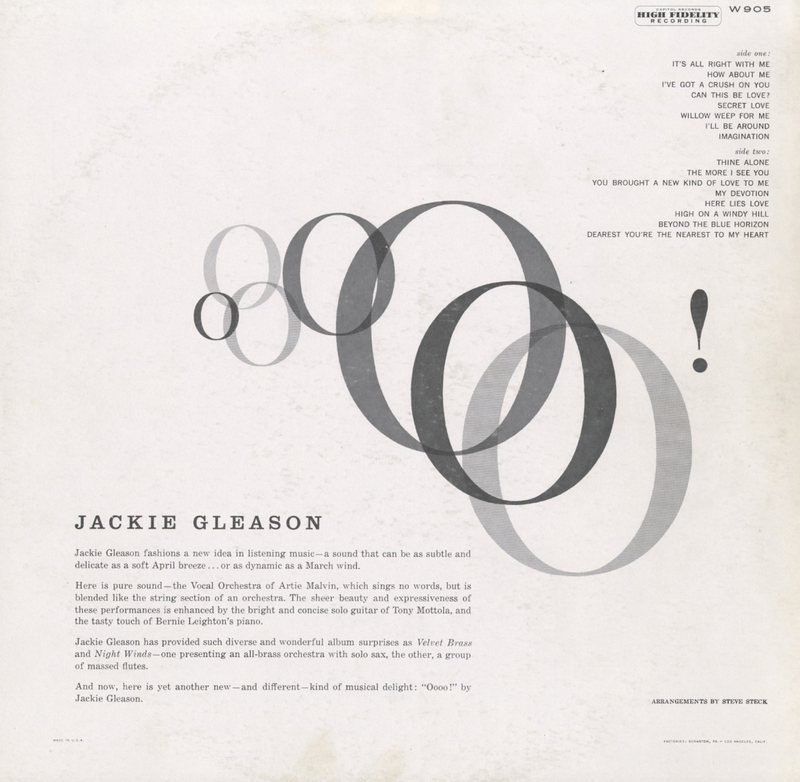 Three tracks to a side seems almost like a concept album for this label. The approach is simple and dramatic. 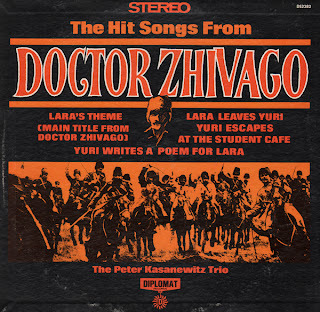 Peter Kasanewitz seems to have made this record and then vanished. From the back cover: Arranged for 4 trumpets, 4 trombones, 4 French horns, 2 reeds, 2 guitars, 3 percussion, keyboard and tuba. I'm not sure when Radio Shack got their hands into Project 3. I've not seen a "Realistic" logo on any Light album until now. Even though the cover images suggestion something more, this is a straight forward, "tastefully" done 60s brass album. The engineering is excellent. The sound is outstanding. Above is yet another version of the cover, a book-fold featuring the same back cover design, but with a "4 Channel Stereo" sticker fixed to the front. This is a wonderful, if an somewhat obscure, album featuring a blend of the classical vocal stylings of Valente and Stanley Black's pop approach. There's some peppy, "space age" stuff on this album, but I was drawn to the more melancholy and mysterious sounding tune that I've posted above as a sample. 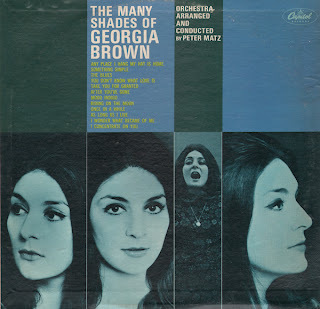 This LP seems to be a forgotten Georgia Brown album. Read about Brown (Lillian Claire Laizer Getel Klot) who passed away in 1992 of surgery complications at the age of 58 on her wiki page. Georgia Brown was a British singer and actress who has that "Broadway" vocal quality and power to her voice. However, she manages unlike other artists, to not to overpower the pop tunes on this album with drama and projection. The album delivers nice space age jazz/blues/light pop feel. 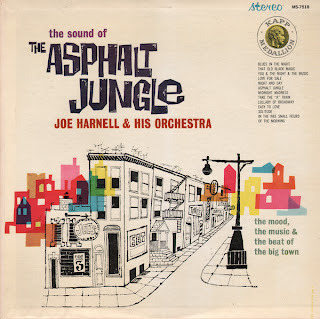 Here is Harnell's follow-up to his outstanding KAPP album titled Naked City. This is an outstanding big band, jazzy space age LP. The engineering is excellent. 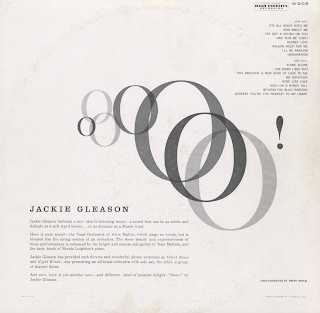 From the back cover: As a jazz artist, Joe has appeared with his own groups at such well known Manhattan night spots as The Waldorf and The Embers, while his classical background has encompassed studies with Aaron Copland, Leonard Bernstein, Ernst Toch and Darius Milhaud, as well as a year at the Trinity College of Music in London. 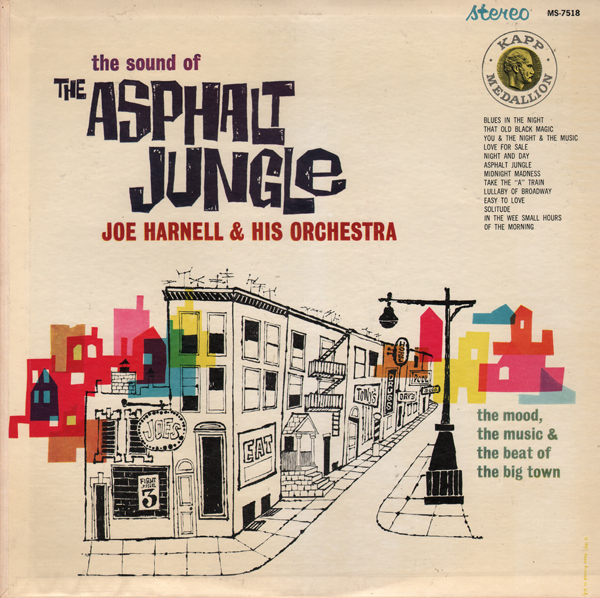 Midnight Madness is a Harnell composition. This is a fantastic Bond set (aren't they all?). The record kicks off with the typical cover of Goldfinger but then picks up speed during The James Bond Theme followed by a terrific version of Peter Gunn . Davis then crosses over into Creed Taylor territory (Shock/Son Of Shock) by adding groans, moans and assorted sound effects to Monster Meeting. 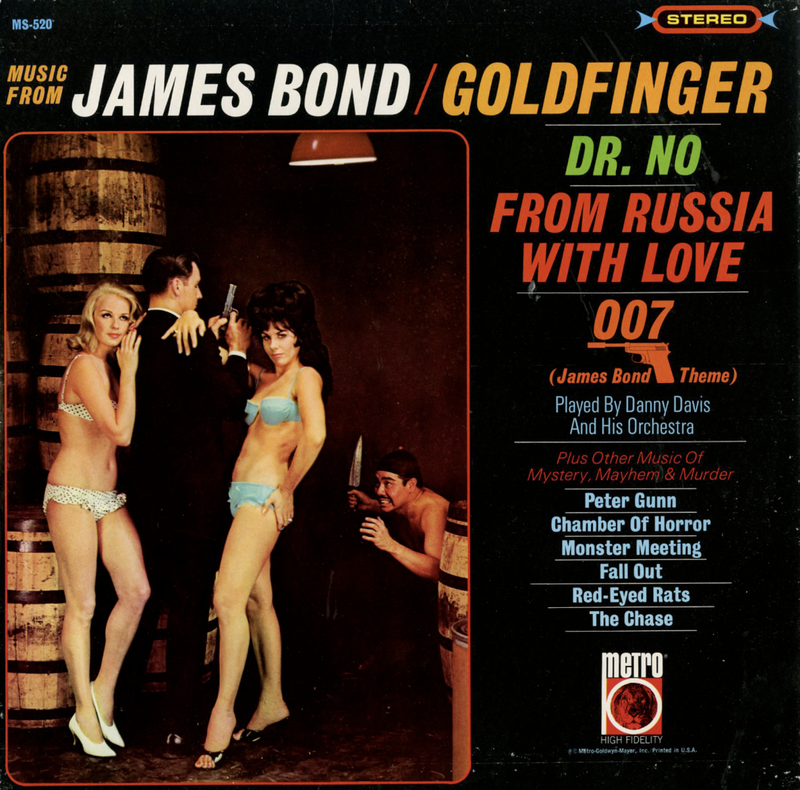 Side two begins with several more Bond covers, From Russia With Love and Dr. No. followed by a killer cover of Fall Out (from Peter Gunn). Next up is another "Creed Taylor influenced" tune, Red-Eyed Rats. The set finishes with one last wild tune, The Chase. 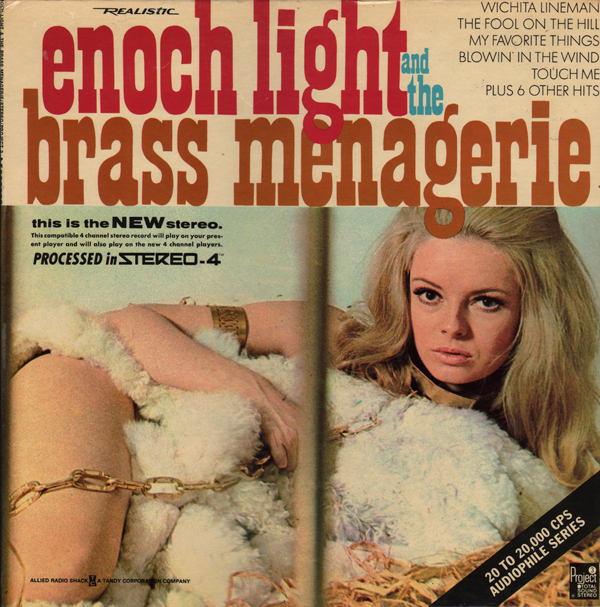 This was the second release for the short-lived Mira label. The recording is available for purchase/digital download so I will not be posting a sample. 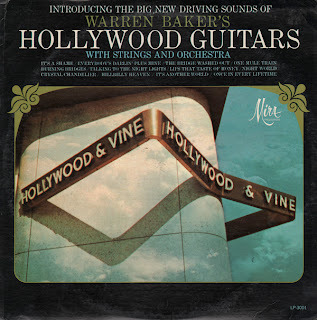 With the download however, you don't get the original cover and for some reason, Hollywood Guitars becomes a secondary title. 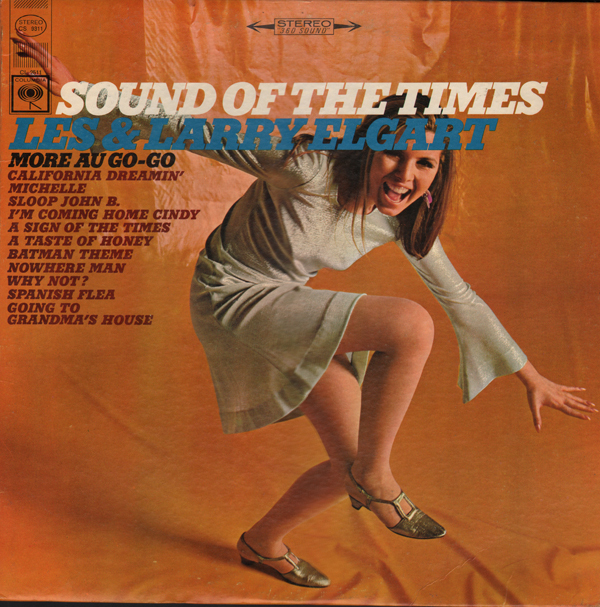 The music is a great blend of orchestrated easy listening and groovy 60s light pop. Apparently (if this is the same Baker) Baker is best known for composing incidental music for the hit 1960s TV series, Bewitched as well as the theme for The Flying Nun. He also wrote the second season theme for Lost In Space (1966), but it was rejected. 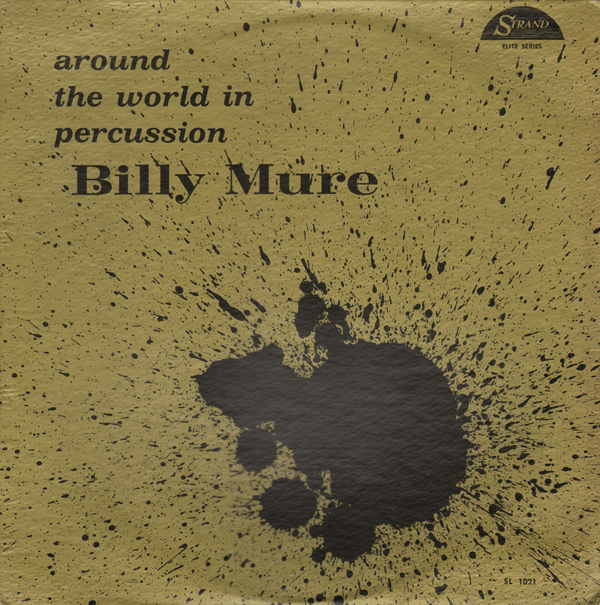 Demonstration records can be interesting because they generally feature a selection of tunes from the label's period catalog including the surprise track is from the TIME album Concert Percussion. Here's a fun album I picked up today. The tracks are available for purchase/download so I will not be posting a sample. Don't let the teeny bopper cover fool you, there are some finely crafted pop tunes on this album. It took some doing but I eventually found an autographed copy online, a last name and then a comment on a post left by John. I thought it might be nice to combine the cover image above and the comment. I could not, however, find a photo of vintage motor scooter that exactly matched the one found on the cover. I'm thinking Vespa... but? Just a line to let you know that ( we )the twins both live in Arkansas , and love it here. It reminds me of Hicksville in the late 40's. The truth be known , we both got tired of the miserable show business grind , and wanted a simpler life. The compulsory draft was catching up and we had signed with Lancer Records ( our contract with RCA was ended by mutual agreement ). We had a single out on that labile ( Lancer Records ) as The Twins , but I can't recall the title of that song. I enlisted in theUSAF ( served 4 years active duty)and have been an aircraft buff ever since. I am currently building a Light Sports Aircraft ( a Hart Bird II at the Hart Aero shop in MO ). I still write songs and have a small home studio. Jim and I have very different lives and pursuits. 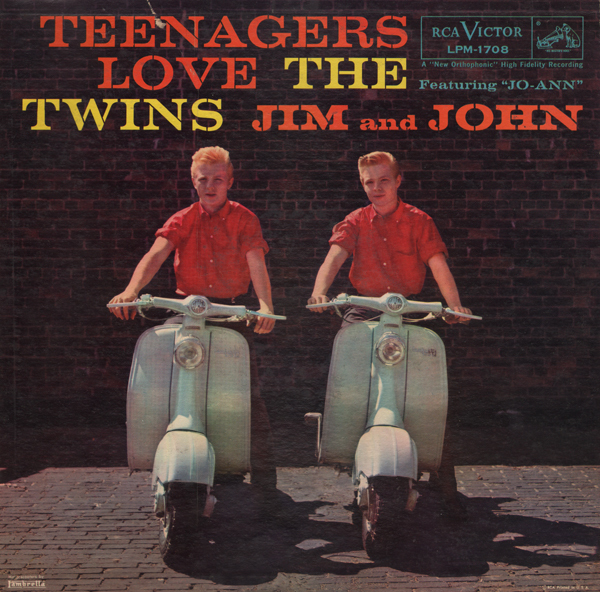 I can say that the recording experience was fun for the few years Jim and I were doing that , but it was much to demanding for us. Jim was drafted into the ARMY while I was still serving in the USAF. We are both well , and enjoy our rural Arkansas lives. 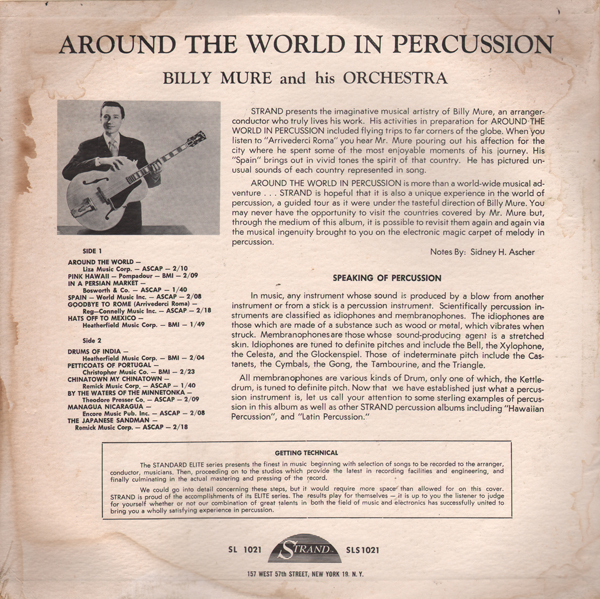 Mure recorded several terrific space age guitar albums including Supersonics In Flight and Fireworks (Supersonic Guitars) for RCA. This set is more of an "exotica flavored" album on which Mure's guitar plays a supporting role. 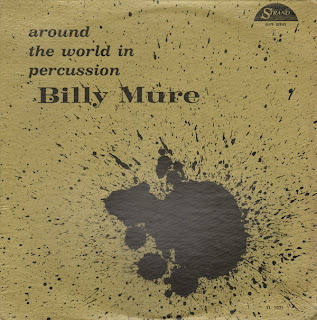 This album was pressed for Strand after Mure's completed his two RCA albums as mentioned above. 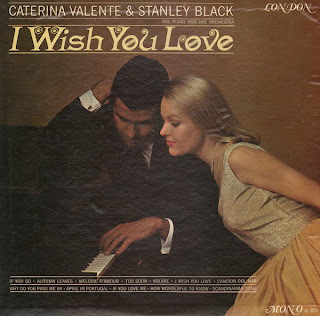 This is a great 60s brass light pop Bossa Nova album. Schoen, according to his wiki page, was a rare self-taught composer-arranger. He worked with many big name acts during his career but is probably best remember as the musical director and arranger for The Andrew Sisters. This album is available on an import CD. So I'll not be posting a sample even though apparently the company pressed only one copy of the CD which can be found, today, on Amazon priced at $958.24. The rarity of only one copy in circulation must account for the stiff price. Of course, more than one copy of the CD was pressed... You can find another copy today, on Ebay priced at $39.99. 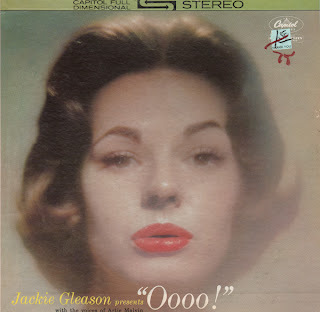 Or you can buy a SEALED copy of the original album on Ebay for $14.95! 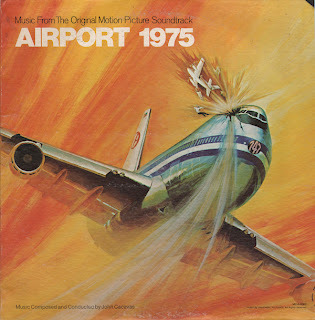 There is a subtle 70s period sound to the track without making the music come off as cheesy (too bad for me…). The LP plays through nicely, setting a dramatic mood for the listener. 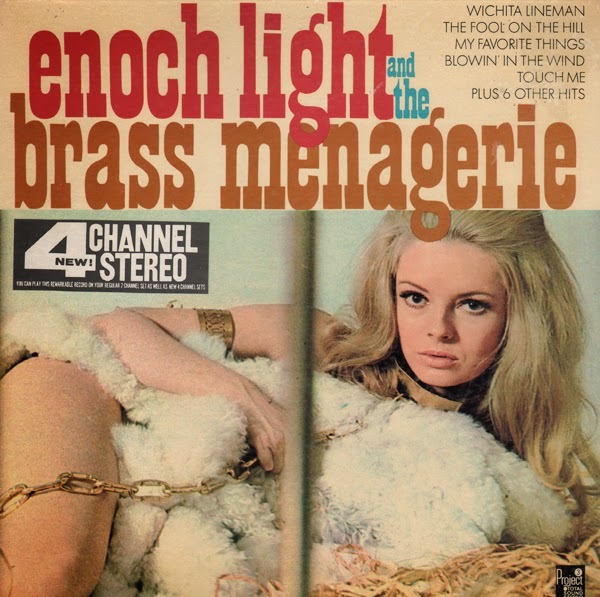 This album and artist seem to me to be somewhat obscure. 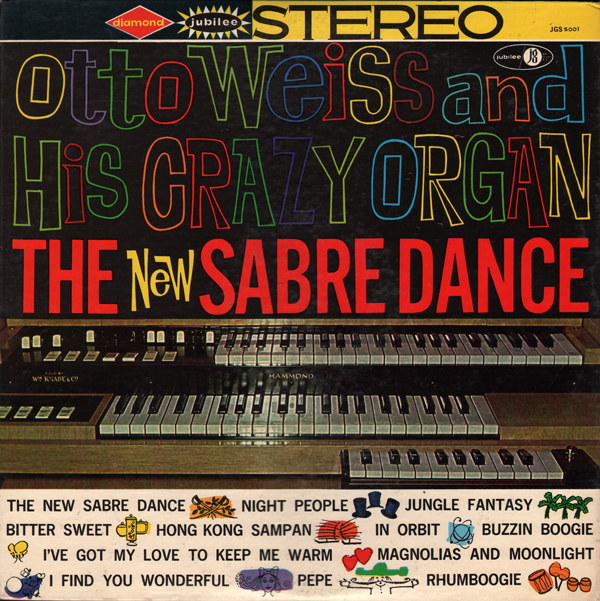 I can find references to a number of albums Weiss recorded online but any personal info is sparse. 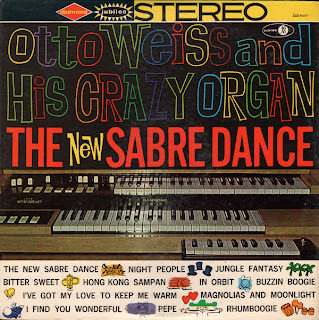 This surprises me because Weiss rocks his organ on this atomic age album. It seems like he could hold his own amongst other better known light pop organists of the period. 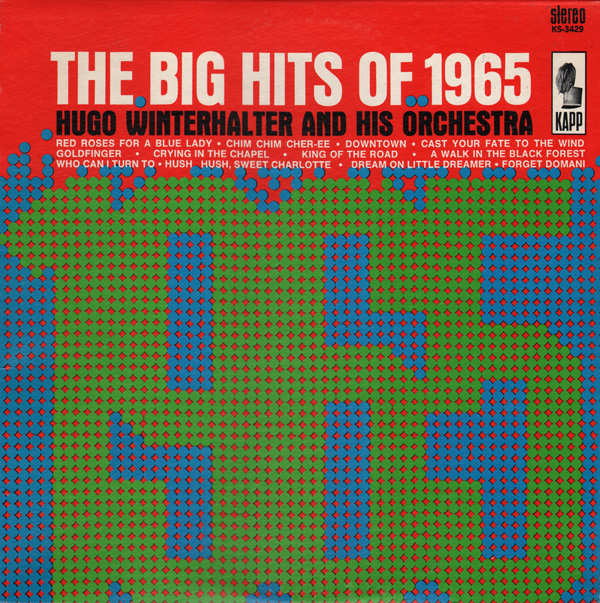 Here we have an outstanding late 50s Latin/jazz/pop album featuring a creative and fresh sound. Digital purchase/downloads are available so I won't be posting a sample. Sorry! Loco's wiki page information is a little thin, so I thought that I add the copy from the back cover of this album. Master of Latin rhythm, or in other words, Joe Loco, has been chief exponent of all things Latin since his dazzling debut in 1946. Loco motion it has been very aptly called. 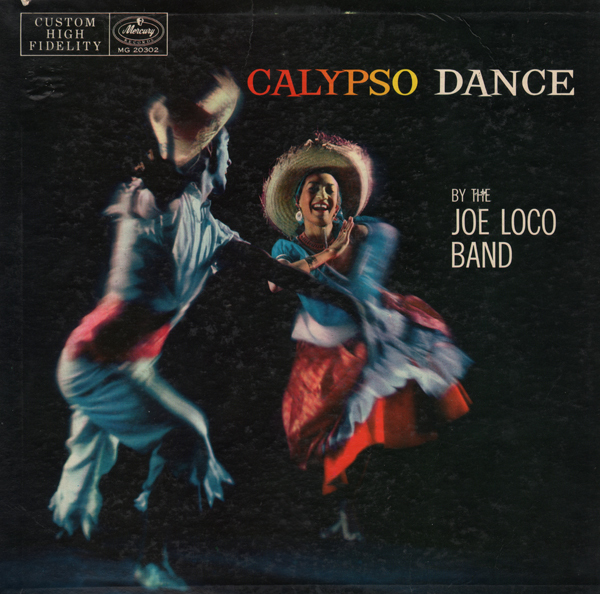 Whether cha cha... menengue or mambo, Mister Loco has brought his perceptive and unique style to this exotic music so a truer and clearer appreciation of this type of music was brought into the American home. How Joe is on a new kick but being Mister Loco it's a kick with a difference. With the same understanding and tenderness that he has treated the Latin American rhythms he now brings his musical magic to work on the Calypso. Joe Loco was born in New York City in the early twenties. What he knows about bathtub gin, the Charleston, Flappers, or Texas gunmen we don't know. But we do know that at eight years of age Mister Loco, through the courtesy of Mrs. Loco, his mother, was given lessons on the violin and in the dance. He cheerfully gave the violin back to Heifitz after enough lessons persuaded him his talent at that time was in his feet. At thirteen he went on an extended vaudeville tour hoofing up there along with the best of them. 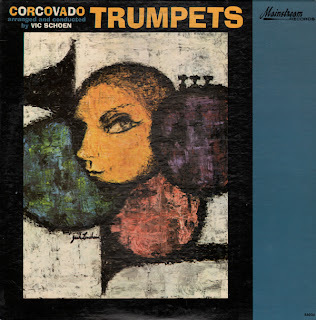 After several years of studying musical orchestration, arrangements and learning to be better than good at the piano and trombone he began playing with and arranging for Cugat, Will Bradley, Madriguero and others. After a stint in the Army Air Force, during the second world war, Joe returned but with a difference, he was on his own and he had a mission. 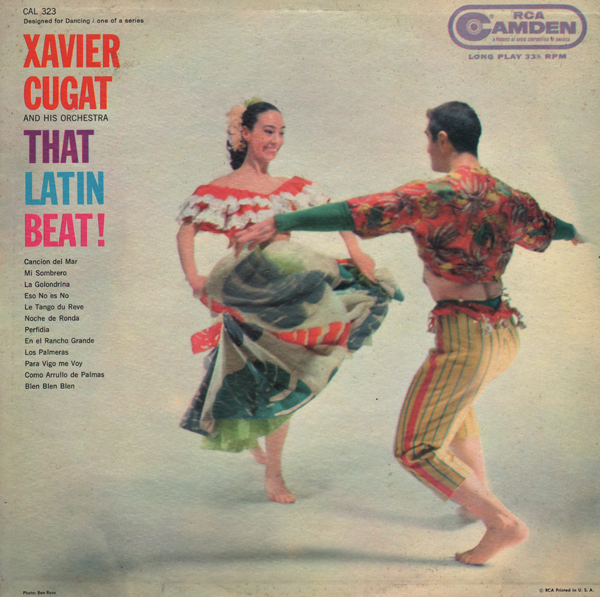 He wanted to popularize in his own country the lush and fascinating Latin rhythms that had so intrigued him. He was sure his fellow Americans would feel the way he did about them. How well he succeeded is now musical history. From the back cover: It is now twenty years since a completely unknown young man arrived in London from Venezuela to study harmony, composition and orchestration at the Royal Academy of Music. 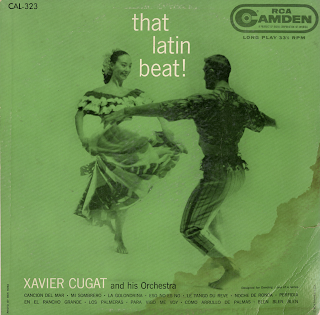 In 1937 few people anticipated what the future held or its significance, and the young music student from South America certainly had no inkling that he was to become the undisputed king of Latin American dance music in Europe and many other parts of the world. Now, in 1957, there is no doubt that Edmundo Ros occupies this unique throne. During the space of twenty arduous, eventful years, he has scaled the heights of his chosen vocation, and today finds him the leader of a world-famous orchestra, the proprietor of a popular West End Club which is Mecca of entertainment for foreign visitors as well as Londoners, and a well-established success in spheres other than show business to boot. Edmundo Ros was born in Caracas, the capitol of Venezuela, on 7th December, 1910. His mother was Venezuelan, his father Scottish-Canadian, and Edmundo was the eldest in a family of four children. His parents originally intended him to enter the legal profession, but it was eventually decided that he should embark on a Army career. 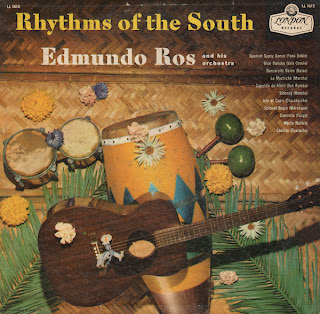 Edmundo entered a military academy to study for this objective, and lost no time in joining the academy's military band as a percussionist to indulge his already keen musical inclinations. The young embryo officer found that his activities with the academy band afforded as much satisfaction as his military curriculum, and, by the time his training period had expired, Edmundo was determined to make music his career. He secured the post of timpanist with the Venezuelan State Symphony Orchestra, thereby gaining a regular income and considerable opportunity to pursue his musical studies. He joined the Venezuelan Musicians Union, and rose to become a member of its committee. Prior to his spell at the academy, Edmundo had won a State scholarship without availing himself of its advantage; now he sought and obtained permission to utilize his studies at the Royal Academy of Music, and thus began the road to his present eminence. In common with most students of every generation, Edmundo soon discovered that the terms of his scholarship grant were insufficient to support him without another source of income. Consequently he joined Don Marino Barreto's pioneer Latin American group, which was seeking to establish authentic tropical rhythm as an integral part of the British entertainment scene. Progress was slow and disappointments numerous at first, but the Barreto band gradually won favor and support, especially after it was booked into the Embassy Club. Edmundo sang and drummed with the group until 1940 when he formed his own band for the first time. 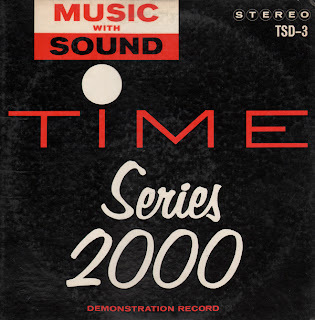 From Billboard - October 31, 1964 (review of London Phase 4 Stereo release - SP 44054): Make no mistake about it... the first Edmundo Ros album for London Records in Phase 4 stereo was no fluke. It sold very well and so will this one, once stereophiles hear that it's available. Great sound, wonderful brilliance and Ros at his best. Deluxe packaging too! Here's a totally groovy album from the brothers Elgart. The Elgarts dabbled in the Now Sound and kill the theme from Batman! Good stuff! Wow! 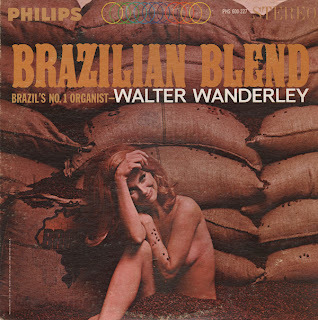 This is the first Wanderley LP I've picked up and what a great space age album it is! Korla Pandit may have a run for his money as my favorite organist! Tragically, Wanderley slid into alcoholism and died in relative obscurity in 1986. There are many Wanderley CDs and digital downloads available. I searched but couldn't find the sample I've selected for you. This is an outstanding album! 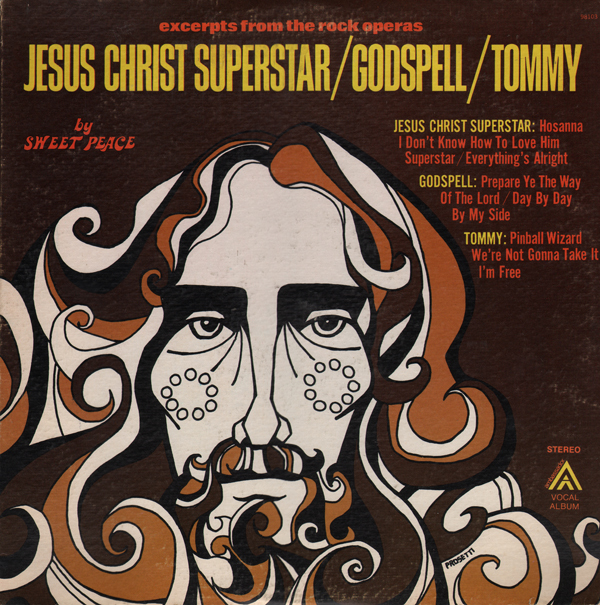 From the back cover: Sweet Peace, the rock group performing on this album, have been performing for 2 years and have toured most of the country. They come from a town called Storm Lake, Iowa and grew up close to nature and close to God. They are right on today's music, as is witnessed by their terrific arrangements and sound. 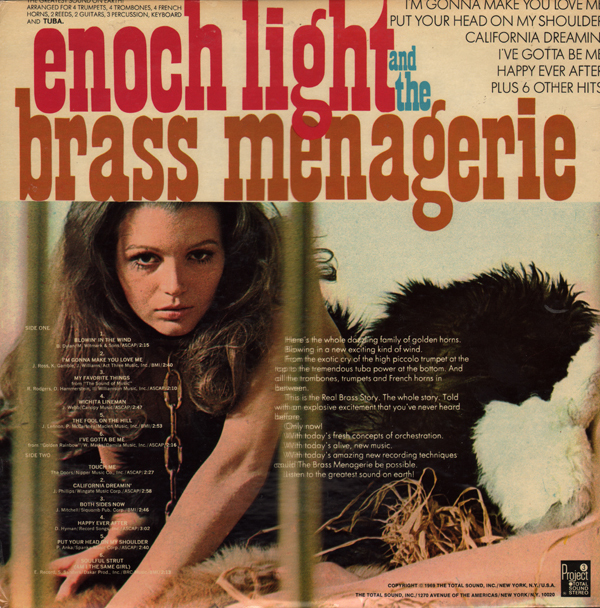 This is one of those obscure oddball albums that I have a hard time blogging. Is it a religious album? Is it a rock album? What was Ambassador thinking when they took on this project? 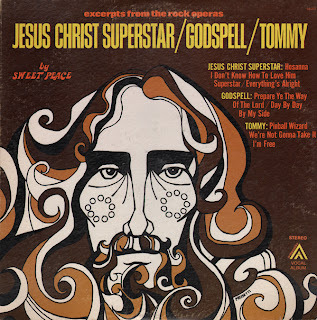 Did they think that there was a market for a budget "rock opera" knock-off of this nature? Apparently they did. One of Winterhalter's better set space age sets. 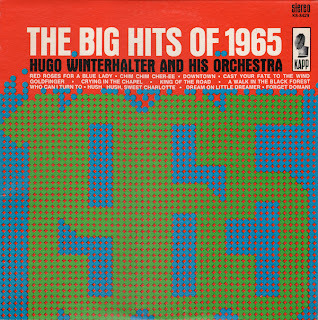 The music is at times 60s silly (not a bad thing) and he takes chances with the arrangements. If I didn't know better, it sounds like Vincent Bell played guitar on the album. I can hear his signature "water drop" guitar sound in a few tunes. This is a good album by an obscure artist who may or may not be pictured on the cover. Apparently Ortega was struggling if you can read between the lines from copy found on the back cover: Frank Ortega has up till the present, centered most of his musical activity in the West Coast, playing the night club and supper club circuit and winning great praise for his efforts. But a talent such as his cannot be restricted for long. Within a short period of time, Ortega will receive the national acclaim he so richly deserves and his name will be ranked with those few immortals whose musical stylings have captured the imagination of the music loving public. 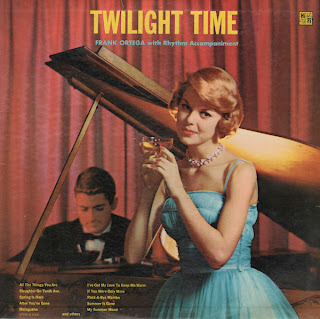 This is a lounge piano album fill out with some nice space age percussion. Check out 77 Sunset Strip, which may be another (Frankie) Ortega album. 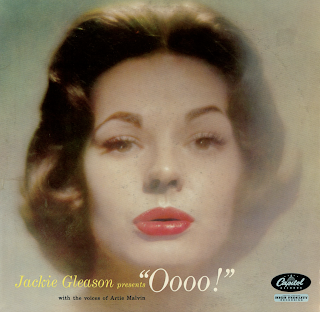 Sited as number 7 on Billboard's Most Played By Jockeys list (December, 16, 1957). From the back cover: Here is pure sound – the Vocal Orchestra of Artie Melvin, which sings no words, but is blended like the string section of an orchestra. The sheer beauty and expressiveness of these performances is enhanced by the bright and concise solo guitar of Tony Mottola, and the tasty touch of Bernie Leighton's piano. Country in The Atomic Attic? Sure! It's my attic! 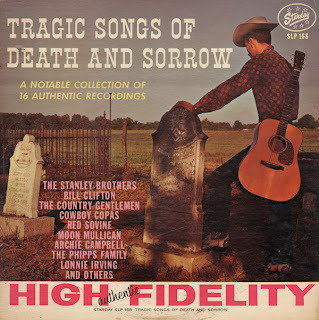 And we love many records from the early 60s including any album that celebrates death and sorrow and there are some downright sorrowful tunes on this album. From the back cover: War, poverty, sickness, unrequited love, and tragic accidents, all are represented here and will give the listener pause to reflect on life and its meaning and the hereafter.